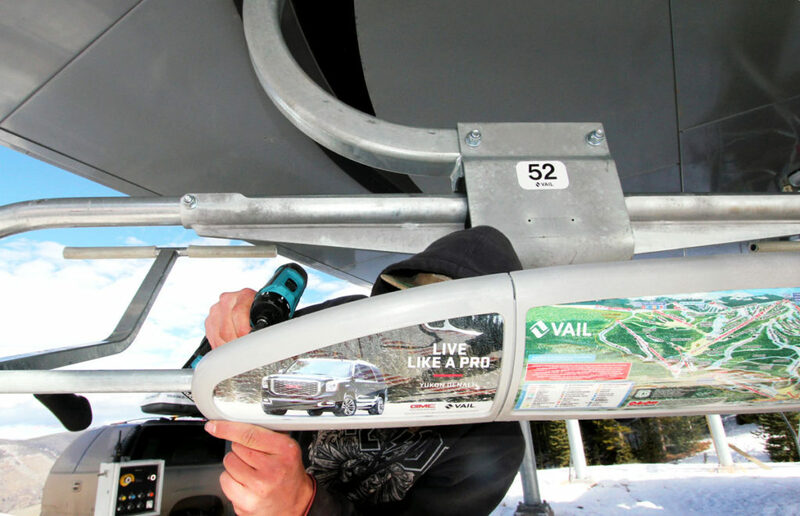 The ski season is underway and AllOver’s Mountain Group has been busy installing ads and updated maps across our largest-ever network of premier ski resorts across the country. We’re working with another group of great brands this year including Garmin, GMC, Whole Foods and Net-A-Porter that want to reach a huge audience of affluent adventure-seekers. We’re also excited to be installing for the first time at our resorts in Courchevel, France! These ads get installed while the lifts are running. They get slowed down just long enough for our team to swap everything out (think NASCAR pit-stop). Check out some action shots! 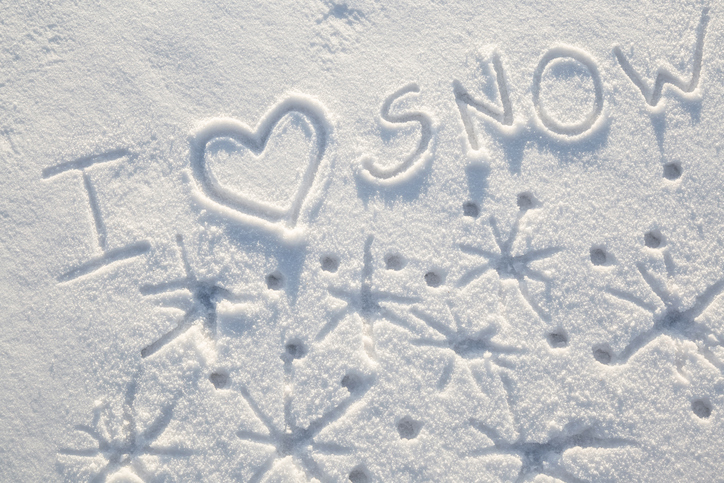 For ski enthusiasts all over the US, first snow is an exciting event. Getting out onto the slopes early in the season is pure bliss for snowsport participants. Last year, Denver’s first snow was November 16th, setting the pace for a long ski season in Colorado. 2017 is bringing even earlier snowfalls, with resorts like Mammoth and Whistler getting snow in September and Colorado seeing snow in early October. “We’re going to have a really early ski season out in the west,” said Dan Leonard, senior meteorologist with the Weather Company. We’re excited to announce our network of resort partners has expanded to Europe! 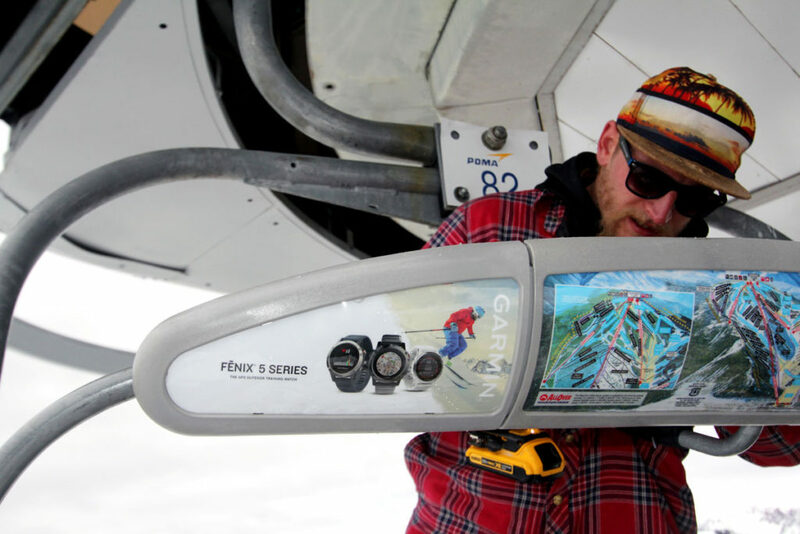 Ski lift ads are now available in Courchevel, France, part of Les 3 Vallées, the biggest connected ski area in the world. Courchevel joins our exclusive list of the top 20 North American resort partners, including Aspen/Snowmass, Whistler, Heavenly, Park City, Vail, Telluride, Mammoth, Beaver Creek, Jackson Hole, to name a few. It can be difficult for brands to effectively reach a luxury audience. All brands struggle to engage their target audience for anything more than a few seconds. Our patented MapLink platform targets the top 2.8% of consumers by household income for 8 minutes while they ride the ski lift, unheard of via traditional and digital methods alike. Brand messages are placed in the lap of your target audience on their way up the slopes for the duration of their ski trip. 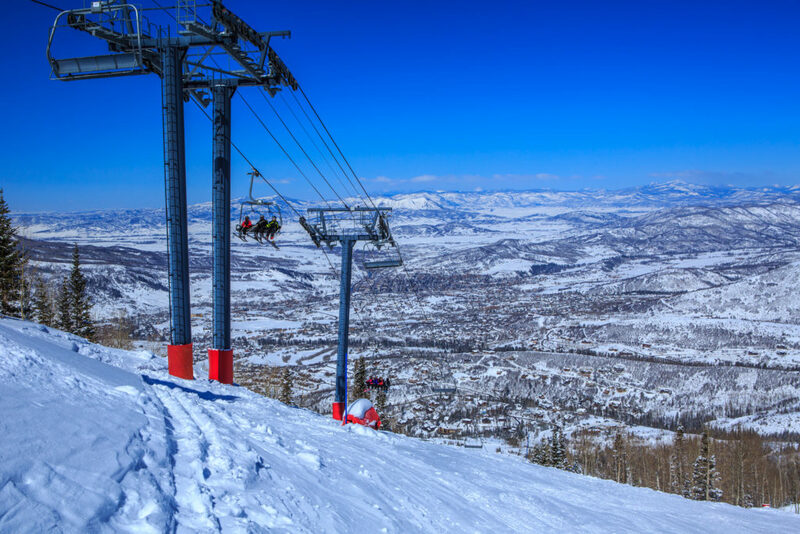 Over 15 million people will get on chairlifts during the 2017-18 ski season. 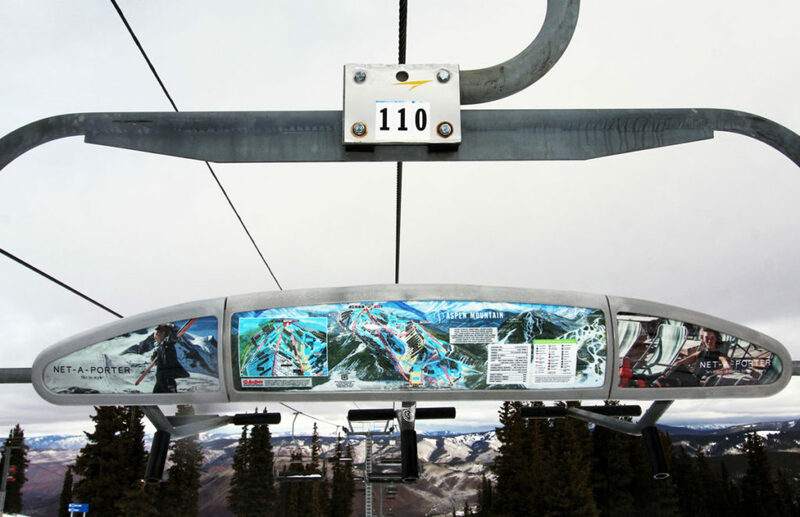 Two CA Mountain Resorts Join AOM’s exclusive chairlift trail map advertising platform! 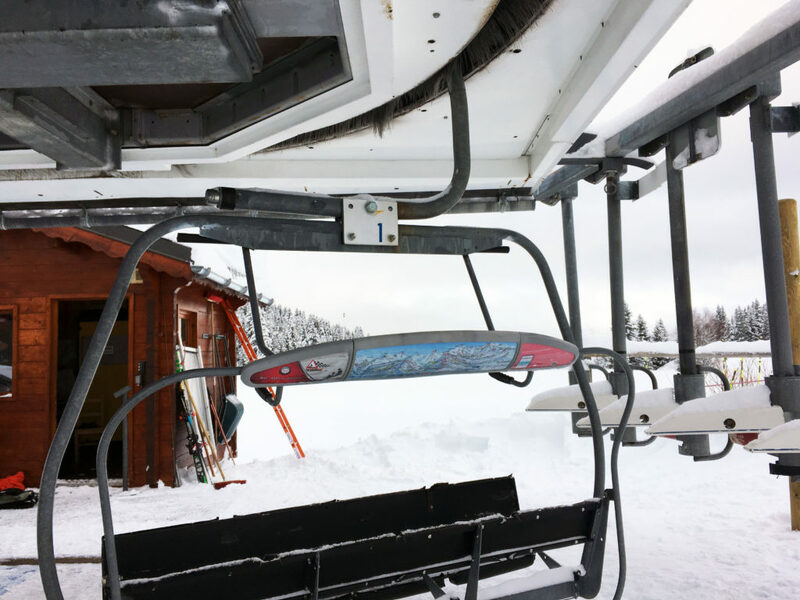 Big Bear Mountain Resort and Snow Summit are “Southern California’s Winter Playground.” Together they average approximately 800,000 skier visits each season. Both resorts are just 2 hours from LA and 3 hours from San Diego. These mountains service skiers of all types, being close to LA and San Diego makes them the perfect destination for a day trip or a weekend getaway from SoCal. AllOver Media announced a new content partnership today with Boulder based Mountain Media. This partnership enables AllOver Media customers access to Mountain Media’s world-class creative team. Mountain Media will work in concert with AOM’s current Mountain Resort ad products team to form a new division called AllOver Media Mountain Group.